Sending the wrong sort of files to the printers can have a pretty big negative impact on your finished article. We hope to explain it all a little so this won't happen to you. What does the file need to do? Is your file going straight to the printers? Or is just getting imported into another file, which is then going to the printers. This answer will affect how you choose to save your file. Ultimately your best option is to ask your printers how they like to receive their files. The likelihood is they will want PDFs. 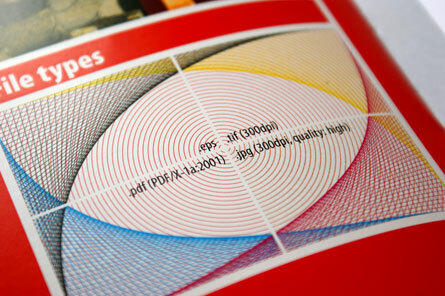 When we at The Media Collective work with Centreprint we send almost all our files as PDFs. They have the latest kit to handle the latest PDFs. However, sometimes we do send files in their native form. 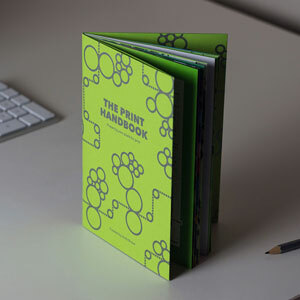 For example, the Print Handbook was sent as a PDF and a packaged Indesign folder. This tends to be how we work with them on more complicated jobs. It helps if anything needs tweaking their end. If your printers do want a PDF, ask them what type or version. There are many different types of PDF and some printers will have issues with certain ones so just ask. 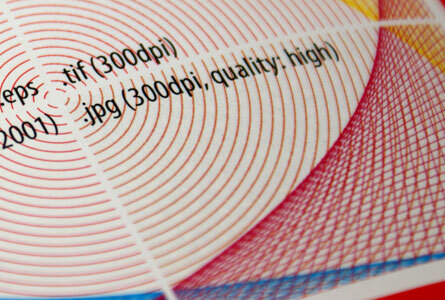 A lot of the files you create will be embedded or imported into something else, like Indesign. Here we're going to split these files into two categories: vectors (Wikipedia) and bitmaps (Wikipedia). You are best off saving vector artwork (the sort of stuff from Illustrator) as an EPS, PDF or AI file. In this photo from the Print Handbook you can see why PDFs (bottom left) and EPSs trump TIFFs and JPEGs every time for vector stuff. 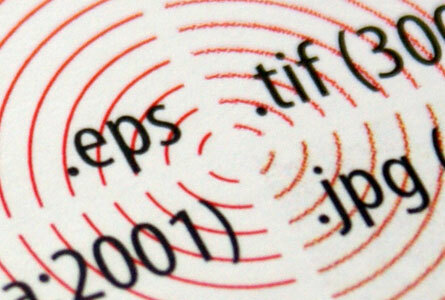 Even at 300dpi the TIFF and JPG don't handle this vector graphic nearly so well. They have to convert it to pixels, and in this situation it shows. TIFFs, JPEGs and even PSDs are what you should be saving your bitmap files as (the sort of things created in Photoshop). TIFFs and PSDs are lossless. You don't lose any quality by saving a file as a TIFF or PSD. A TIFF or PSD is normally a better option than a JPEG. But if you've been supplied with a JPEG, from a camera or stock photo website, and you're not modifying the image then you will gain nothing from saving it as a TIFF or PSD. A TIFF or PSD cannot create detail where there was none in the first place. But a JPEG can remove detail where once there was some. There's a couple of thing to notice in the pictures here related to JPEGs. Firstly, JPEGs can't handle spot colours. So when this JPEG was saved it converted the Pantone colour into a CMYK value. Secondly, the white space in between the red lines on the JPEG is filled with a very subtle yellow/grey tint. This is due to the compression.